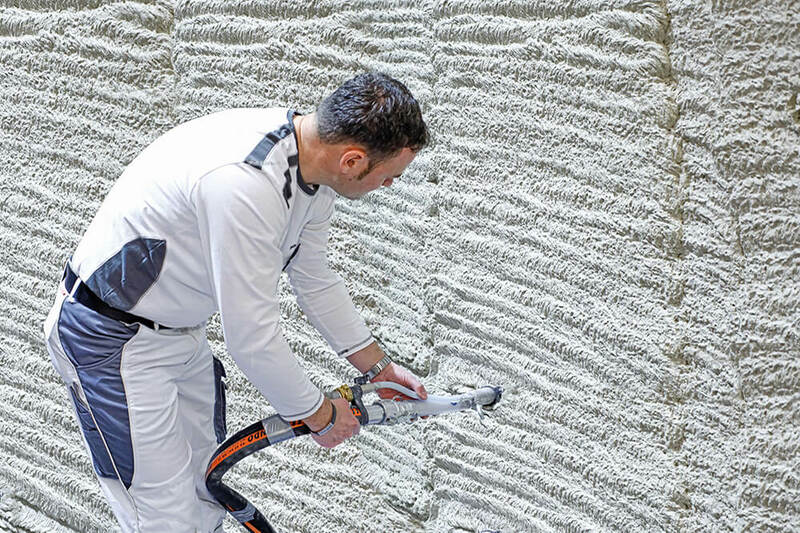 The external high performance insulating render which is being developed by QUICK-MIX will be completely derivative from minerals with aerogel as a lightweight filler. Aerogel is a unique and very light non-flammable material with high resistance to mechanical stress and an extreme low thermal conductivity. These qualities we aim to transfer to our insulating render, which will provide a long lasting, breathable, continuous insulation layer where the thickness can be adjusted depending on the climate, geographic orientation of the wall and on specific local needs. It can be applied on uneven walls, window reveals, and can address architectural constraints such as in semidetached housing, etc. Compared with the best existing external render found in the market, the project aims to develop products that are at least 35%- 40% more energy performant for the same thickness.